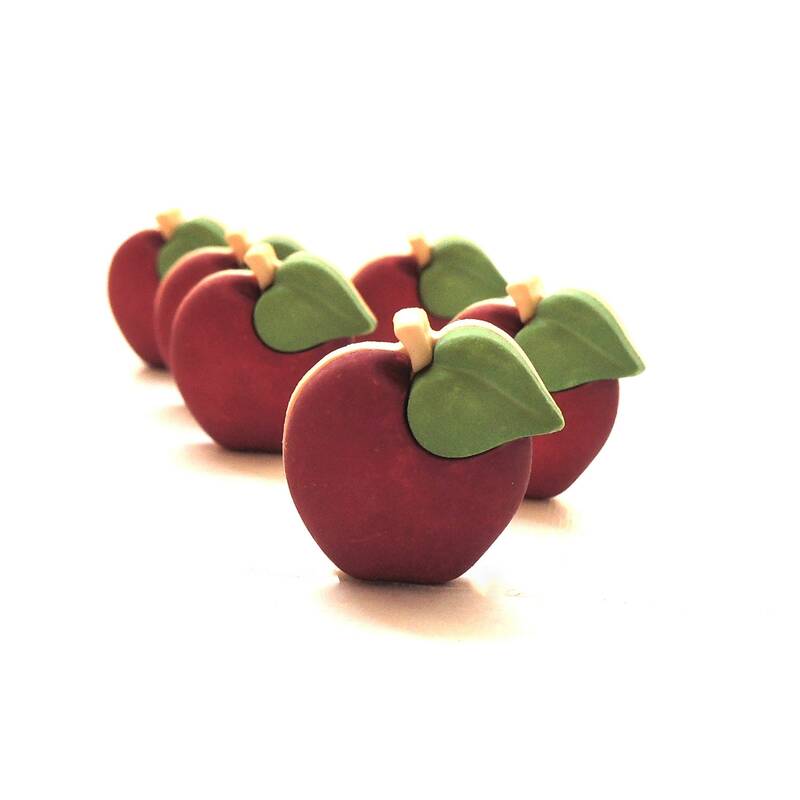 These great apple buttons will make your next project bright! This set of 6 buttons is sure to make you smile. Buttons measure approx 3/4" in both directions. Thank you. These are adorable and perfect.